President Donald Trump tweeted on Friday that he has asked Secretary of State Mike Pompeo not to visit North Korea due to lack of progress on the country's denuclearization, the day after the State Department announced Pompeo's visit to Pyongyang next week. "I have asked Secretary of State Mike Pompeo not to go to North Korea, at this time, because I feel we are not making sufficient progress with respect to the denuclearization of the Korean Peninsula," Mr. Trump tweeted. "Additionally, because of our much tougher Trading stance with China, I do not believe they are helping with the process of denuclearization as they once were (despite the UN Sanctions which are in place)..."
The United States has continued to escalate a trade war with China in response to what Mr. Trump believes are unfair trade practices. China has implemented retaliatory measures after the U.S. imposed tariffs on $34 billion worth of Chinese products in July. Mr. Trump also sent his "warmest regards" to North Korean leader Kim Jong Un in a follow-up tweet Friday. "Secretary Pompeo looks forward to going to North Korea in the near future, most likely after our Trading relationship with China is resolved. In the meantime I would like to send my warmest regards and respect to Chairman Kim. I look forward to seeing him soon!" 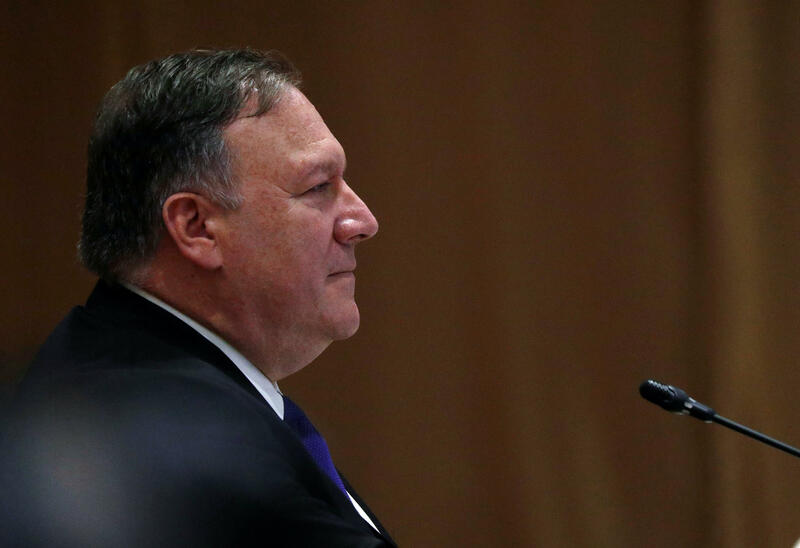 The visit to North Korea would have been Pompeo's fourth visit to the country. At the time of the trip's announcement Thursday, there was no plan for Pompeo to meet Kim. Mr. Trump met with Kim at a summit in Singapore in June. The meeting ended without an understanding that North Korea would begin denuclearization in return for an easing of American sanctions. Mr. Trump was criticized by some in the United States for acting conciliatory towards Kim, who is an authoritarian leader.